Whether you’re a collector or a seller of vintage items, these are the things I’m predicting will be most popular in 2019. 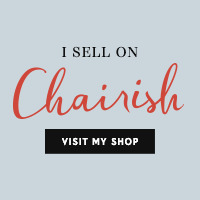 The lists are just for fun and equal parts from my selling experience, observation at estate sales and online auctions, research in décor magazines and perhaps wishful thinking! I grouped items in a variety of categories. vintage medical equipment, illustrations/posters, etc. older religious items: crosses, icons, stained glass from churches, vestments, menorahs, etc. vintage Italian pottery, like Bitossi, Deruta, deSimone, etc. collector plates made by Bradford Exchange, Franklin Mint, etc. collector dolls, Beanie Babies, etc. Would love to hear your thoughts. And I’d be happy to add your “hot” prediction to the list.